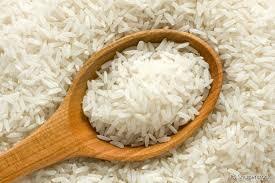 Consuming rice is very beneficial to our health, only because it contains no harmful fats or bad cholesterol. Any food that can provide us nutrients without having any negative impact on health is active. It’s considered “light food”, meaning easy to digest and which, produces satiety. BUT, in spite of these benefits, you should know that among all the cereals that exist, rice is the poorest in nutritional principles, hence the importance of recognizing rice types, properties and uses of each, to achieve a proper nutrition without deficiencies and thus avoid problems such as anemia. Rice as we know it is modified. Therefore we would advise to consume (Organic) Whole Grain Rice. The Whole Grain variant is very beneficial as it contains many properties, for example, one of the properties of rice is the high iron content, which makes it an ideal food for everybody. The content of phosphorus is another of the properties of rice since stimulates brain functions, and its low sodium content helps the heart. Rice has many carbohydrates, especially when raw, so one of the benefits of rice, raw or boiled, is that it provides an excellent source of energy, recommended for athletes and people suffering from exhaustion. It hydrates efficiently, turning it into food that brings much water to the body. The Downsides of eating to much Rice. However, there are also dangers to our health from eating too much rice. It can also have many consequences throughout life as we can develop diseases like diabetes and that way we can harm our health. For example, eating much white rice can develop diabetes type 2 because this illness can not be attributed to a single simple factor, but to some factors. However, in general, eating too much-refined carbohydrate causes the body to quickly convert them into glucose, which has effects on the glycemic index, or how foods affect blood glucose levels. Our way of ingesting rice should be moderate and not overeating since that way we will be taking care of our health throughout our lives. That is why we must be careful every time we want to eat rice must realize that rice can betray us in the sense that we might get sick and that will have a consequence on our health. Rice is a famous ingredient in Korean beauty culture, especially since it brings both brightening and anti-inflammatory benefits to your complexion. Washing your face with rice-water for instance is been passed down through the generations. The anti-inflammatory benefits are well known in Korea. The best part: It works well on dry, oily and sensitive skin, so you can easily incorporate a hero product into your current skin care regimen.